I thought the G's were gone forever! 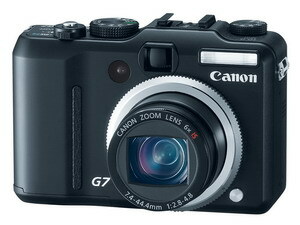 Canon introduced several cameras today, the most interesting is the new powershot G7. After reading the press release, I'm not sure where this camera will fit, especially with the $600 price tag. The G6 produced some great images for a fixed lens camera, but it appears the G7 is similar to the A710 IS, only sporting a 10MP sensor, among a few other features. Release is scheduled for October, so we'll see if it's worth the extra money. 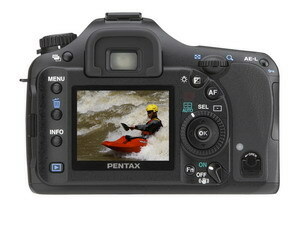 PENTAX Imaging Company announced today a very interesting new camera, the PENTAX K10D digital SLR camera with 10.2 effective megapixels and a host of advanced technologies including a PENTAX-developed Shake Reduction (SR) system and a weather- resistant body. Dust removal system, CCD shake and special coating. Weather-resistant body for fun in the rain. Neat dedicated RAW switch by lens mount. In very rare cases, RAW format files may not be opened by the supplied image control software, Picture Motion Browser. Image gradation when the shutter speed is 1 second or longer. The printed picture quality when the image is printed with an Epson® printer using Print Image Matching. This information comes from Sony europe customer support. 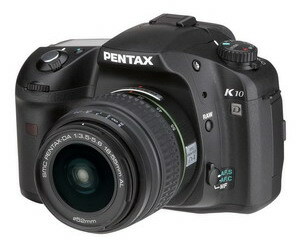 Attention: owners of Konica Minolta DSLRs, and the new Sony a 100, please see my lens reviews, right here! Full review of the Sony a 100 coming up in a couple weeks or so. Stay tuned.